David Birkas was always curious how software and products work under the hood, eventually finding a career path in computer science and User Interface (UI) design. Born in Hungary, he moved to LA, Montreal, and lastly Boston to join us at Formlabs. He started as an intern for three months, answered UI tickets, and became a UI developer. His parents were architects. Now, he is architecting the visual aspects of software. We sat down with David to learn more about what he does and what UI means to him. How did you get to Formlabs? I coincidentally went to the same high school as our head of product, Dávid Lakatos. I was living in Montreal for my master’s degree and Dávid came to Montreal with our CEO, Max. I showed them around and they stayed at my place. We talked about my work and they told me to apply to Formlabs after university. After a trial period, I was hired as a software developer to overhaul the touchscreen UI on the printer. As a UI developer in the software team, I work on the touchscreen for the printers. I enjoy UI because it combines visual design aspects with coding. The software team includes touchscreen software, factory software, our desktop application called PreForm, and a web Dashboard where users can track their printers and prints. I work closely with designers and software engineers between the desktop and embedded teams. 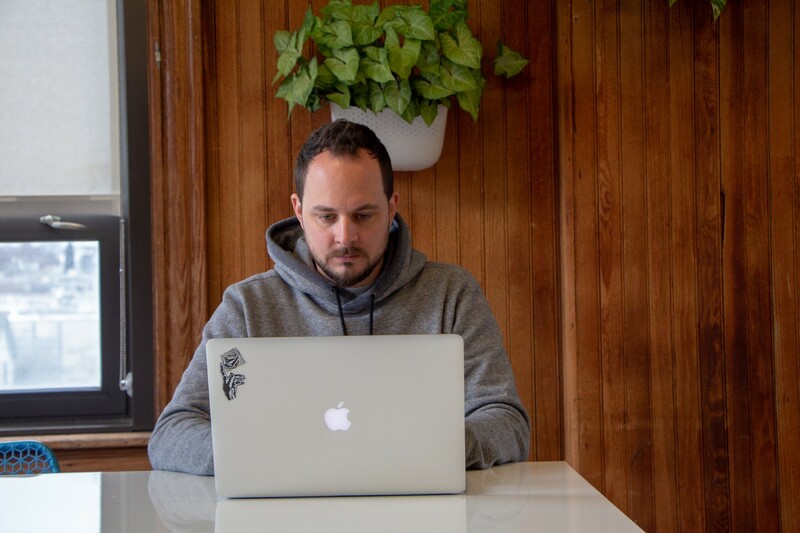 With our designer Mike, we look at the screen, workflow, mockups, what is important to show the user, release internally, gather feedback, iterate, and release when it is ready to launch. Many people get confused between UI and UX. UI is appearance. UX is about intuitiveness. It can look good but it might be hard to use. Formlabs made 3D printing more accessible and easy to use. A lot of that is thanks to UI: everything from starting a print, status messages, warnings or errors, and menus. I can’t wait to come in every morning to work on the challenging, interesting problems we solve here and pick up where I left off the day before. It is hard to find a job like that. People come in here on the weekend because they want to, not because they are forced. In general, we don’t have huge hierarchy. People trust you. You got hired because you know what you are doing. At over 500 people, we still have this mentality. What was a memorable moment for you? Dávid got a big cauldron and we made traditional Hungarian goulash in the office parking lot. I shared a few bottles of homemade palinka from my grandfather and we sang Hungarian songs. I loved sharing Hungarian culture with my coworkers. 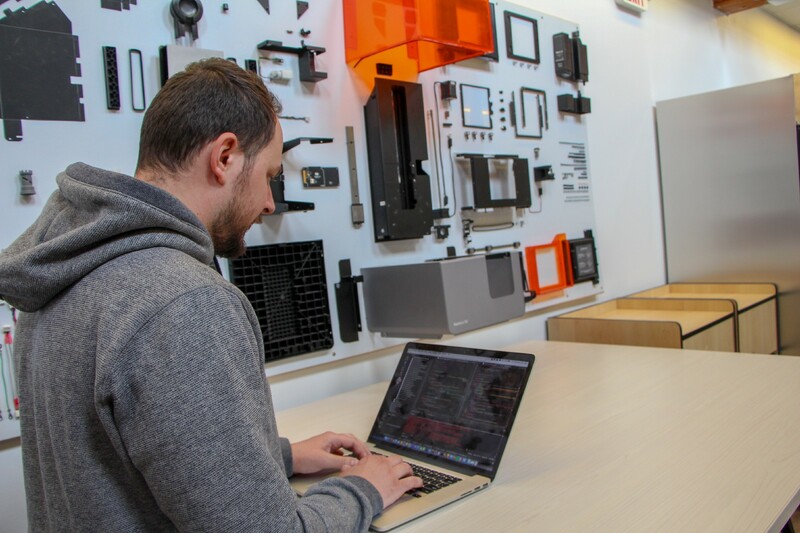 Do you have any advice for people interested in getting into UI or working at Formlabs? My advice is to build and develop what we do here. I learned from Shane, lead SLA engineer, who wrote a blog post which demonstrated his passion for work. Get familiar with UI frameworks like QT (what we use here) and get involved in desktop and embedded design projects. UI for web is different from UI for desktop applications or embedded devices. 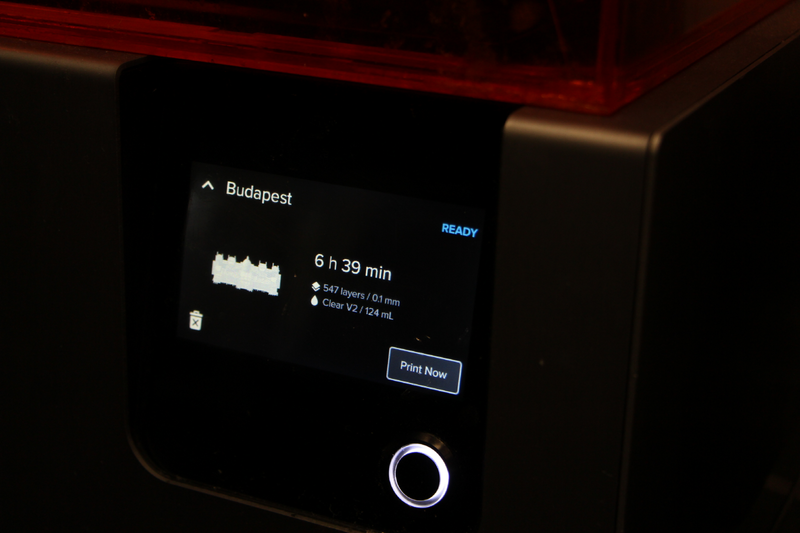 If you have access to a Formlabs printer, I encourage you using it so you understand what issues we are facing it. Describe your team in 3–5 words. Dedicated, bright, and geeks in a good way. Be dedicated to what you are doing. Check other solutions, see how they did it, and learn from the mistakes. Communicate especially since the work is multidisciplinary: UI work reaches design, marketing, and the software team. The biggest challenge is making our printer as easy as possible to use and maximizing every millimeter of screen space. We are constantly iterating and refreshing. We need to consider how people use our printers and our customer base is always changing. We used to have one printer per user, now we have multiple printers per user or team. UI affects every scenario.